Design Title: Isn’t It Romantic? How do you feel about being a finalist in the 2016 Fashion Design Competition? : After my college told me about the competition, I decided to enter and am so glad I did. I would never have thought that I would have been a finalist and will be excited to see my design brought to life in the fashion show. 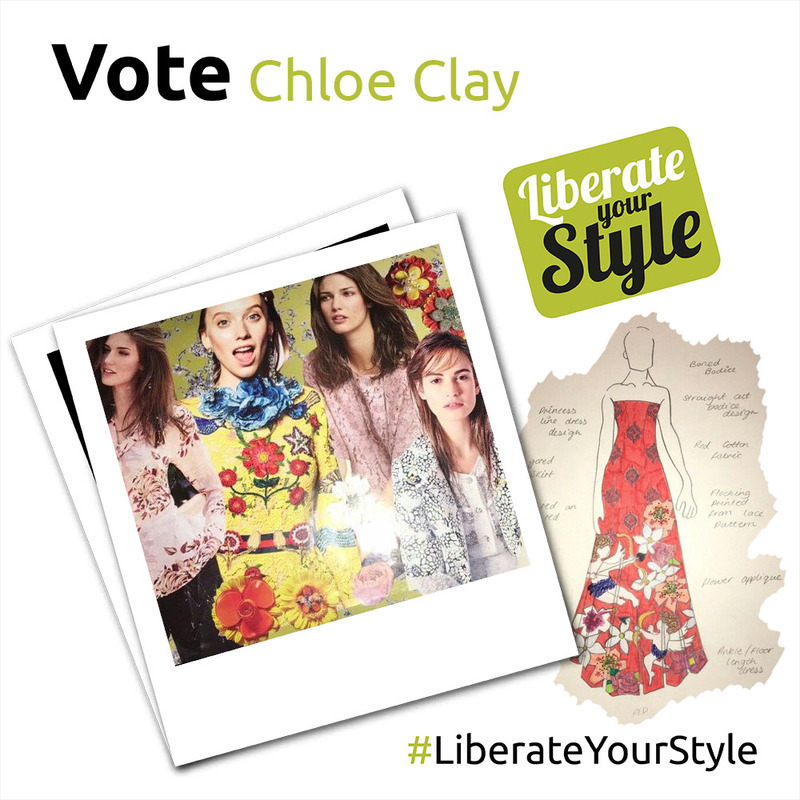 I feel honoured to have been selected as a finalist and am thrilled to be able to show my design at The Liberty. What does ‘style’ mean to you? : To me style means being able to wear what you want, expressing your feelings and ideas through the way you dress. It gives you the opportunity to give yourself an identity, showing everyone your personality, it makes you stand out in a good way from everyone else, be who you want to be, not what everybody wants YOU to be. Following what everybody else wears makes you blend in. You should be able to wear what you want. If you dress the way you want, you are very empowering as you are defying ordinary conventions. Who is your style icon? : I don’t have a particular style icon. I enjoy the work of lots of designers as each have a different view on the way they design clothes. My design though is inspired by the beautiful and glamorous garments of Dolce and Gabbana. I love the way Dolce and Gabbana have a particular style that I can spot in a magazine or picture and know that it is one of their garments. They like to focus on the trend romance including flowers and love and this is the theme I chose for this dress, which has been inspired by their collections. Please summarise the concept behind your design in one sentence: The concept behind my design is love, romance and decadence, incorporating delicate beautiful flowers and sweet cupids ready to hit the beholder with their arrow of love.